You are the co-signer on your son’s vehicle loan because his income or his credit was not good enough at the time he needed to buy the vehicle. This was several years ago, there have been no issues, your son makes all of the monthly payments on time, and you have nothing to do with the vehicle, so in your mind the vehicle does not belong to you in any way. Therefore, you neglect to list the vehicle and the loan on your Bankruptcy Schedules. At the Meeting of Creditors, also known as the 341 Meeting, your Trustee asks you a series of questions which cause you to think about being the co-signer for your son’s vehicle. You advise the Trustee of the vehicle, the loan, that it is jointly titled in both your name and your son’s name, but that it belongs to your son because he has made every payment and it is solely used by your son. If the vehicle has any equity, this could be a very bad situation. The vehicle’s equity will be considered an asset that belongs to you despite the fact that the car is used solely by your son and that your son exclusively makes the payments. This could be a fatal omission if there is a lot of equity in the vehicle. If you are lucky enough, there will be no equity, meaning the car is worth less than you owe, and it will not be an issue. As the example above indicates, there are assets people too often forget are assets, but there are also assets that people do not realize are NOT truly assets. To illustrate, using the example of a car loan again, but this time you are the only one liable for the loan and on the car title. You think of this vehicle as one of your assets, BUT you owe more on the car than the car is worth. When you owe more on a vehicle than the vehicle is worth there is no equity in the vehicle. Where there is no equity, there is no asset. This means that you do not have to use one of your available exemptions to help you keep it. The same is true for homes that have mortgages. Figuring out what is or is not an asset can be much more problematic than one might think. By speaking with an experienced Jacksonville Bankruptcy Attorney you have a greater chance of listing all of your assets correctly in your Bankruptcy Petition, which will in turn give you the best chance of being able to keep the assets you would like to keep. 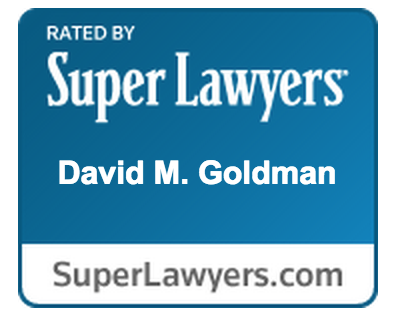 Contact a Jacksonville Bankruptcy Lawyer at the Law Office of David M. Goldman, PLLC today at (904) 685-1200 for a free consultation.